Collins makes language learning fun, fast and flexible. Pick up the essentials of the Portuguese language with this easy-to-use audio introduction. 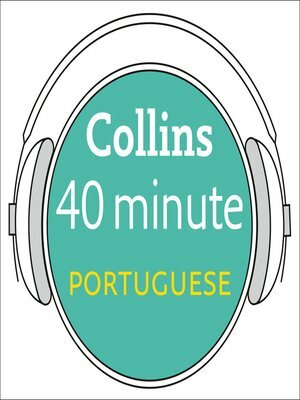 Covering everything from finding your way to talking about yourself, Collins 40-minute audio can help you learn short and simple phrases quickly by just listening and repeating. Collins Gem Phrase Books are designed for ease of use, with practical, flexible phrases that can be adapted to suit the needs of the traveller. But often, it's not the question that's the problem, it's the reply. This downloadable audio file for your Audible-compatible mp3 player (including your iPod) addresses this problem. Along with the key phrases you need to get by – simple, to-the-point and polite – the audio file gives you an idea of what the shopkeeper, the waiter, or the passerby you ask directions from may say to you. This volume uses this unique approach to teach the reader (and listener) Portuguese quickly and effectively.